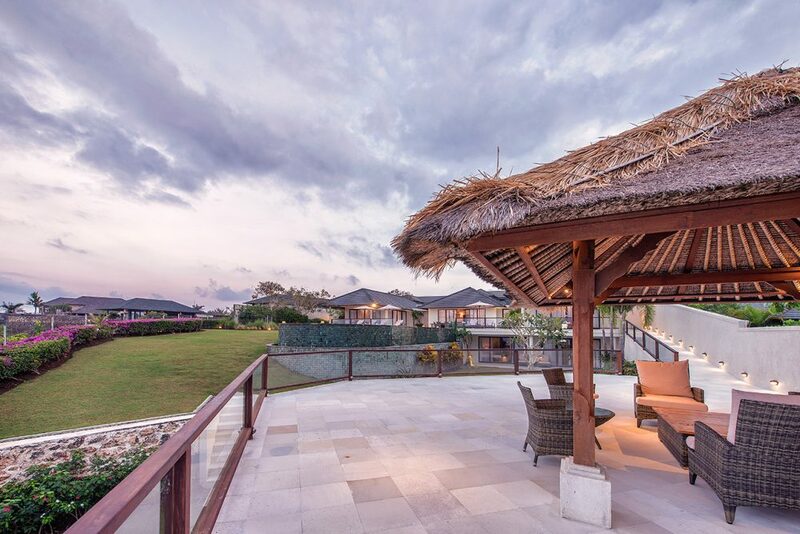 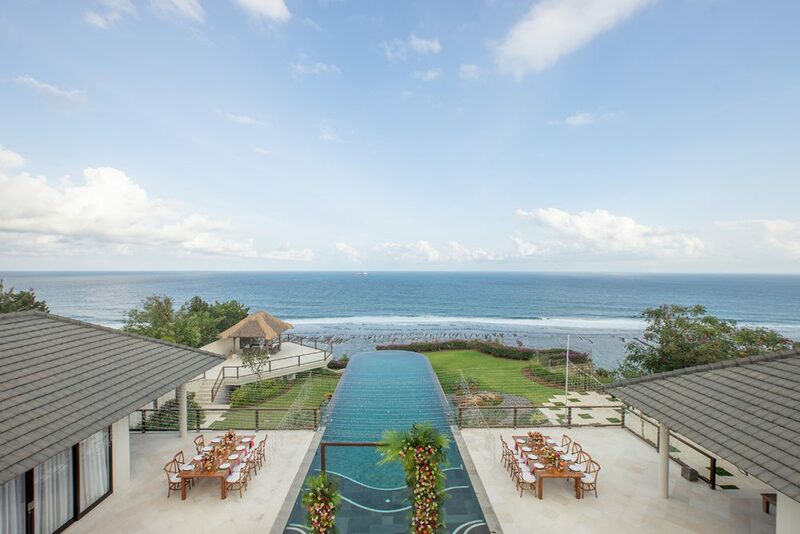 A majestic clifftop escape with 5 luxurious suites and endless views of swaying palms and the crystal-clear Indian Ocean, Villa Bale Agung is nothing short of a dream destination. 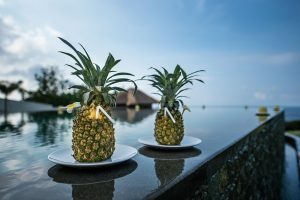 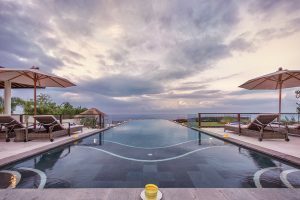 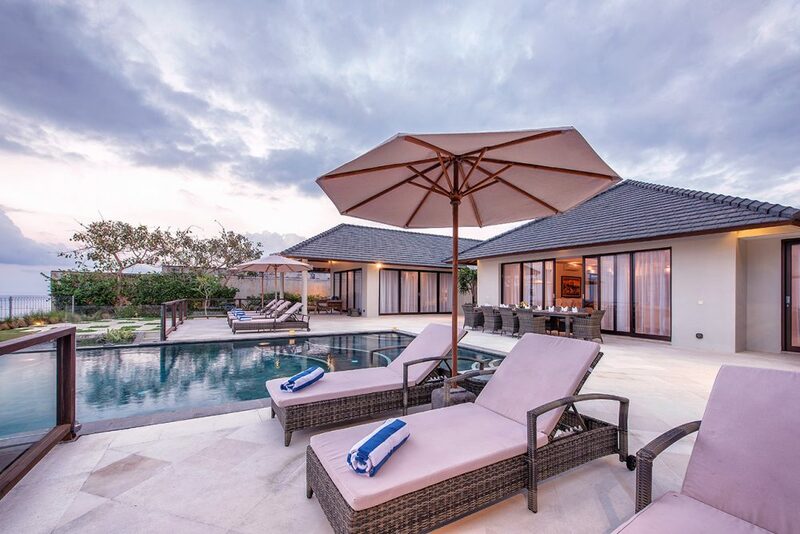 Cool off in the infinity pool, take a massage in the private spa, watch a movie in the home theatre room, or enjoy a sunset BBQ on the terrace. 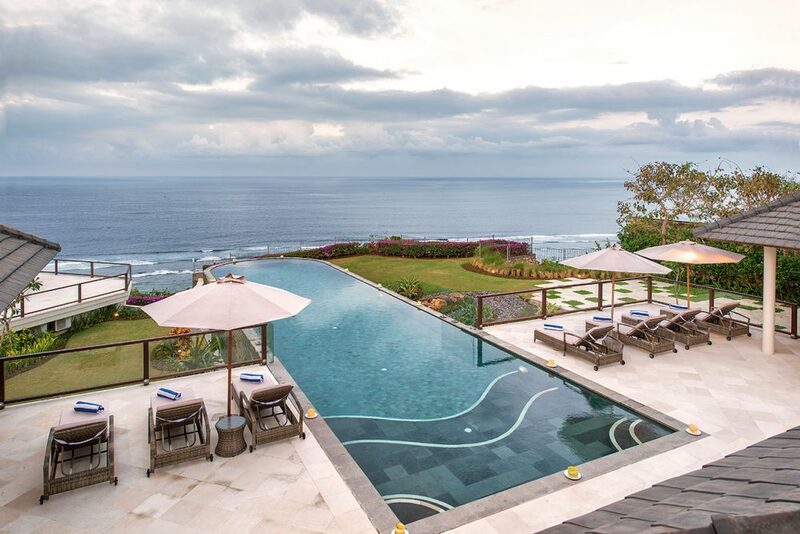 The options are endless and the memories made are unforgettable. 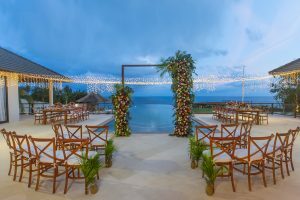 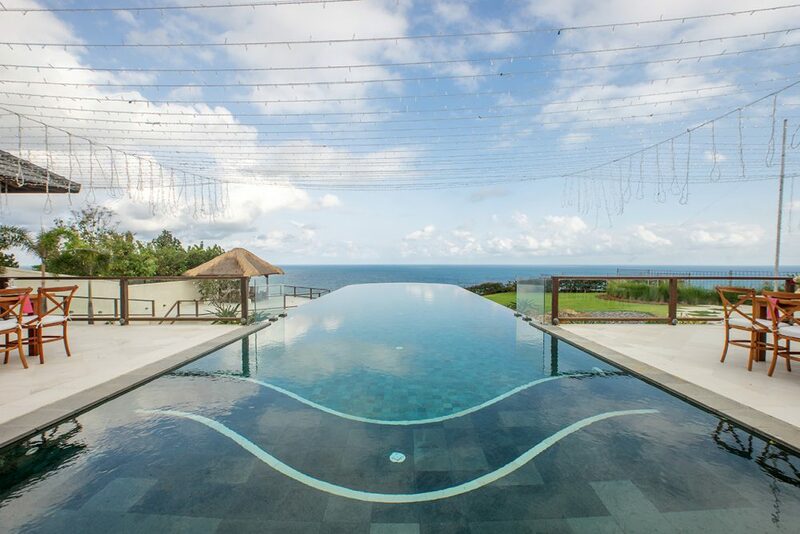 Most of your time here will be spent outdoors basking in the mercurial panorama of the sky, the infinity pool and the ocean. 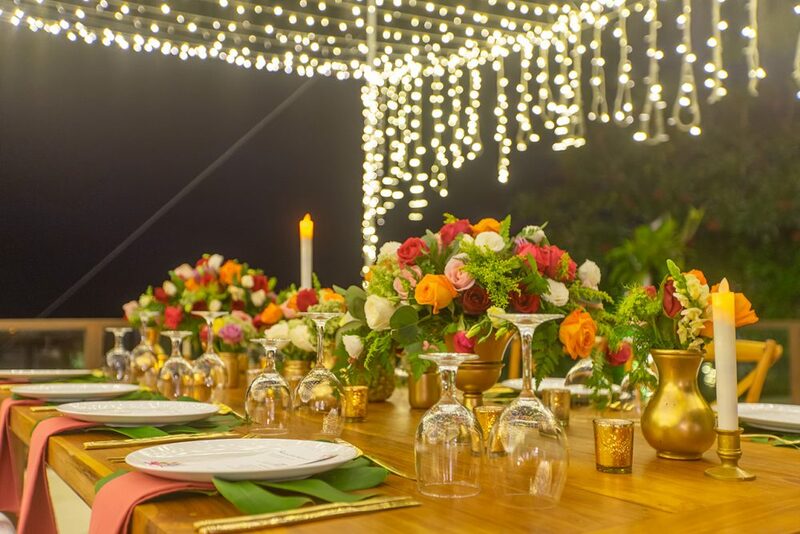 The vast terrace features an alfresco dining table and there is plenty of space to add more and offer seated dining for up to 20 guests at a special event. Eight comfortable sun loungers surround the glittering waters of the swimming pool and simply invite halcyon afternoons sipping cool drinks with your friends and family. 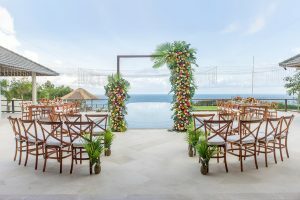 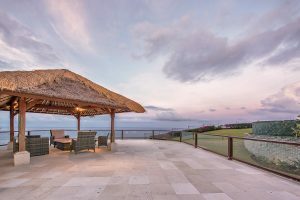 At the bottom of the lawn, just before the drop off the cliff, is an Alang Alang topped pavilion allowing for crows-nest views of the rolling ocean. 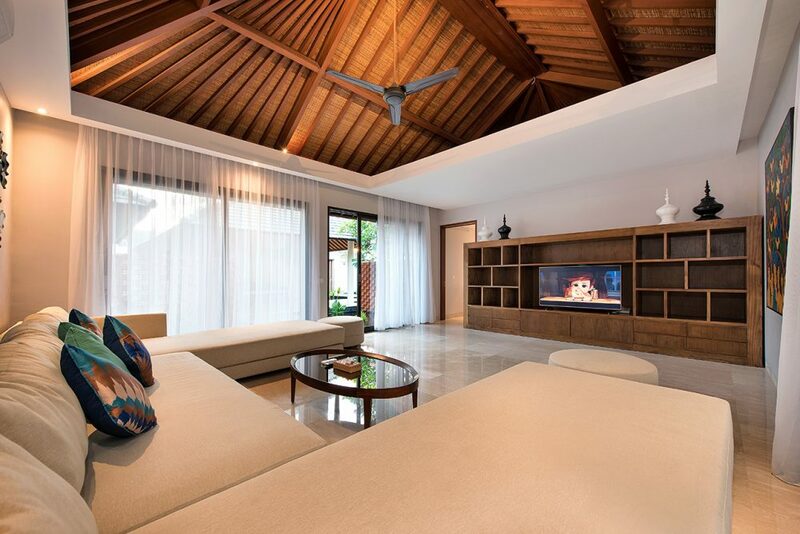 The living area in the main villa can be closed off and air-conditioned. This faces out over the dramatic clifftop views and has a 10 seater dining table and a bevvy of comfortable couches. 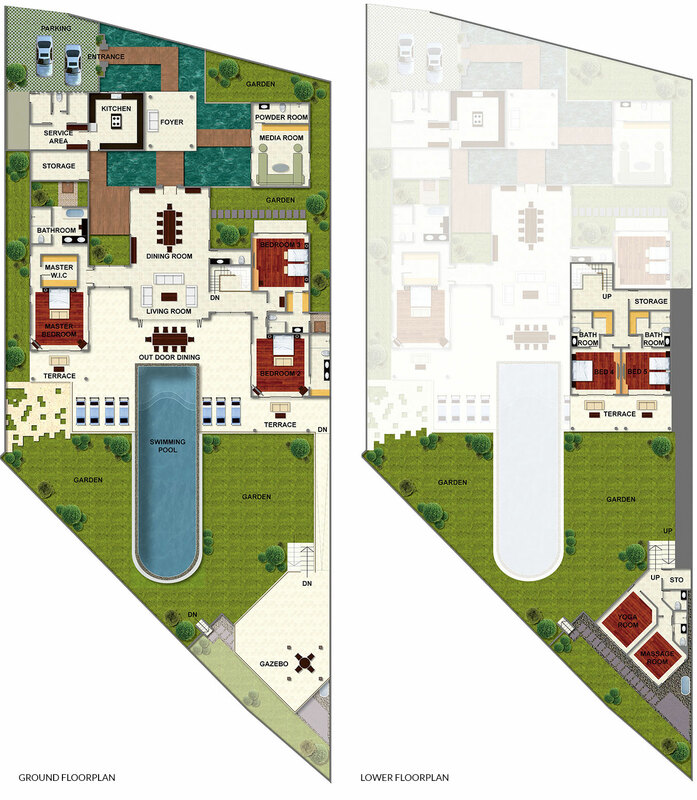 Additionally, near the front of the property, in its own stand-alone building surrounded by Koi ponds, is a luxurious and fully air-conditioned media room. 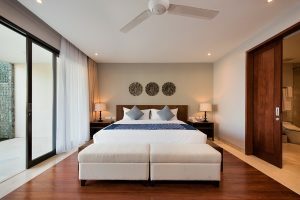 The gorgeous master suite has patio doors opening out onto a private terrace with exotic views over the ocean. 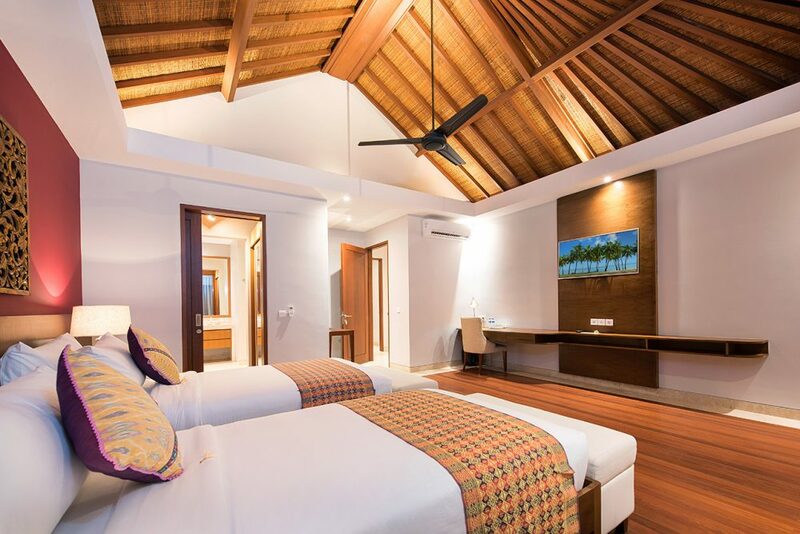 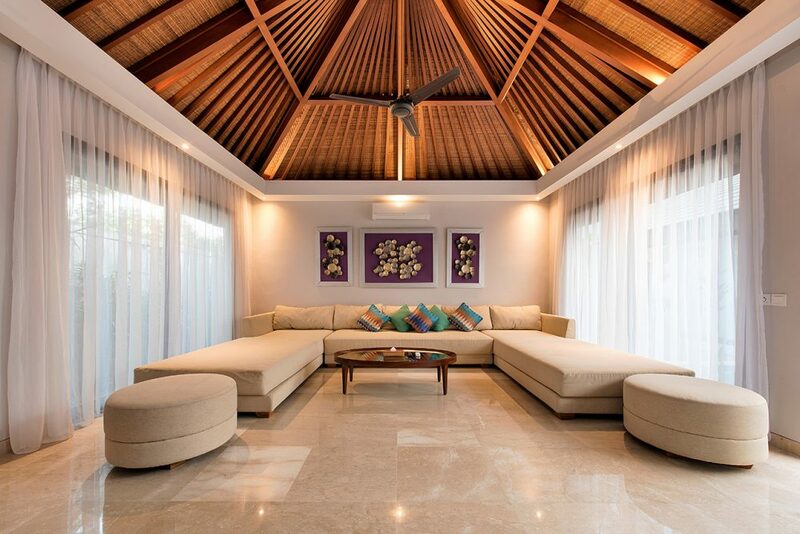 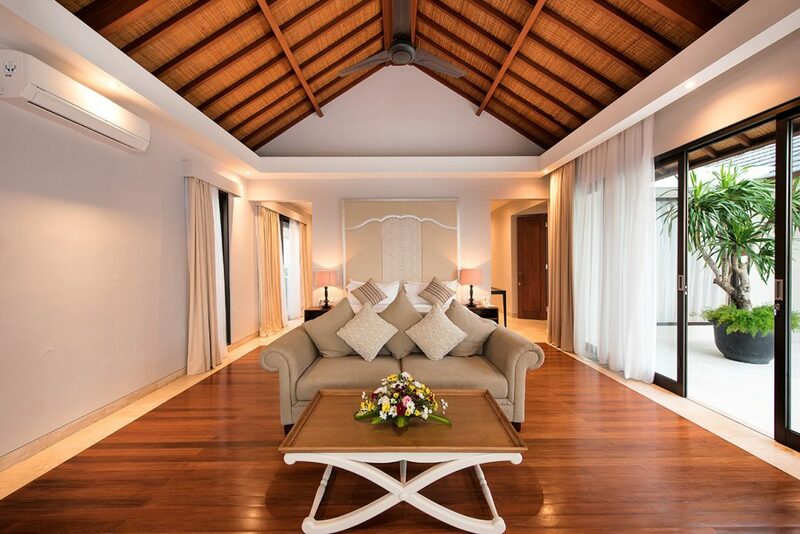 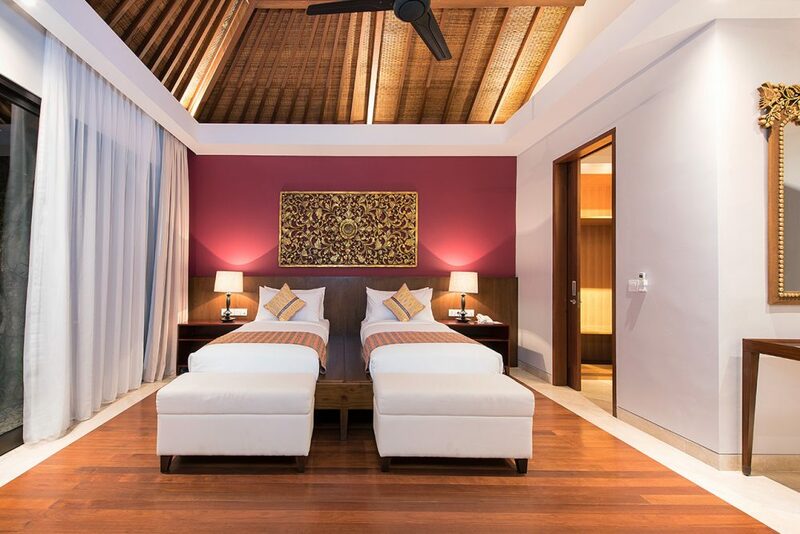 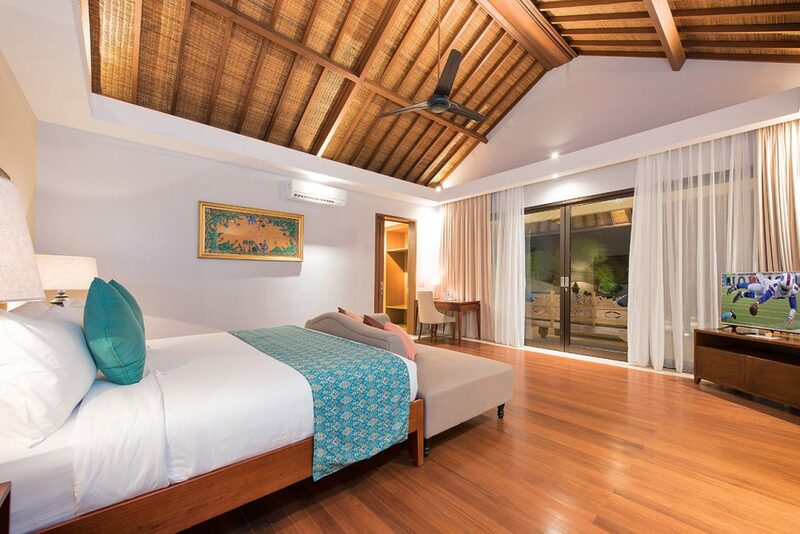 A charming spacious room, it features a high Alang Alang ceiling and a sumptuous king-size bed. 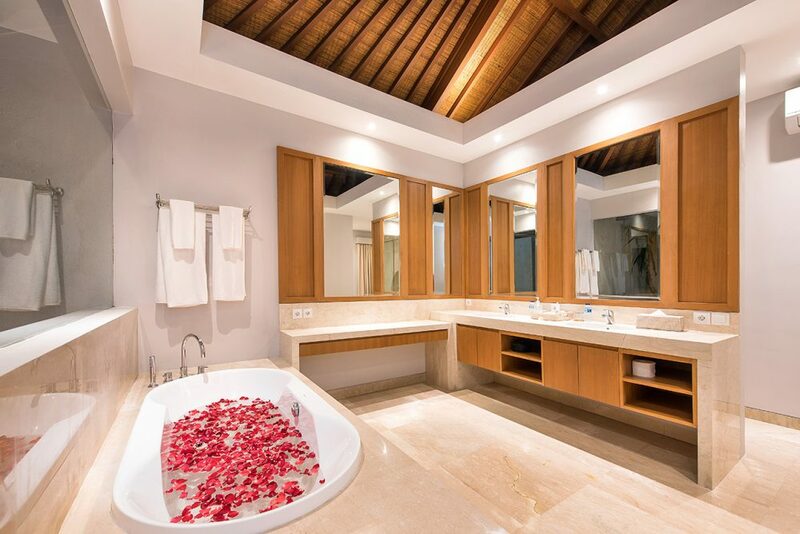 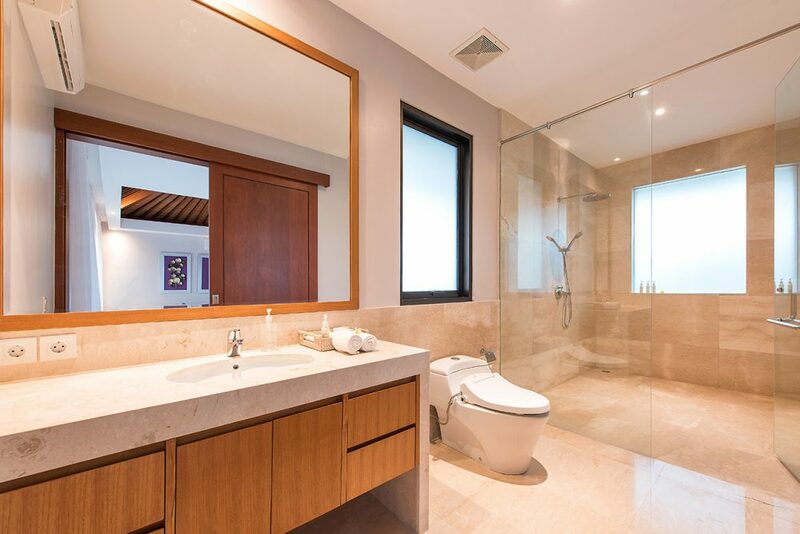 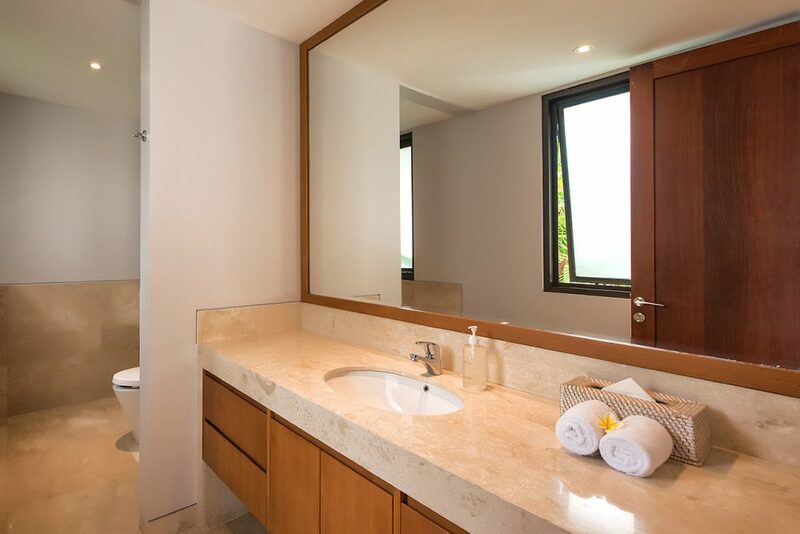 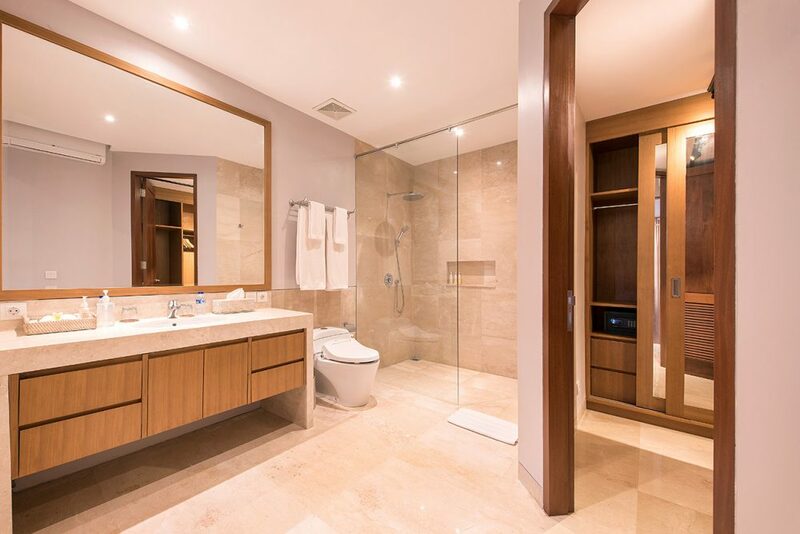 Stylishly finished with a sofa facing an LED TV, and finished off with an enormous ensuite comprising a bath, indoor and outdoor showers and a vast double vanity unit – there is no better place to relax and rejuvenate. Bedrooms 2 and 3 are both voluminous king-size suites on the main floor which can be configured as twin rooms if required. 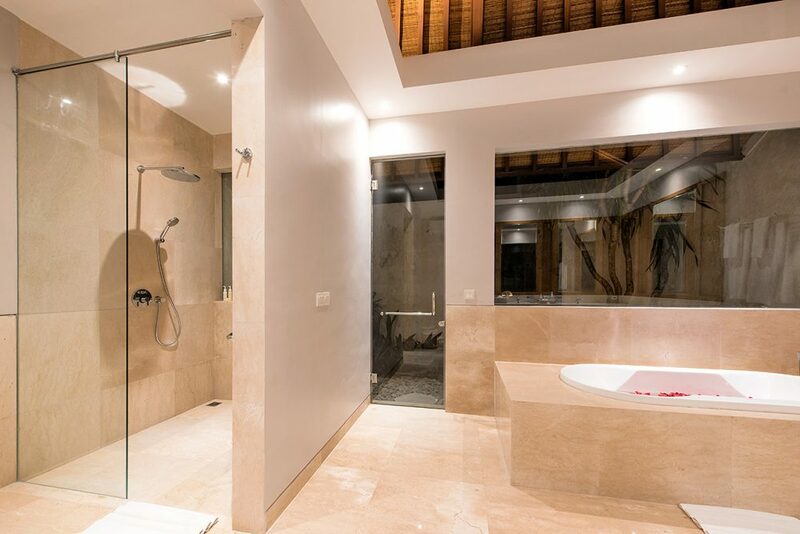 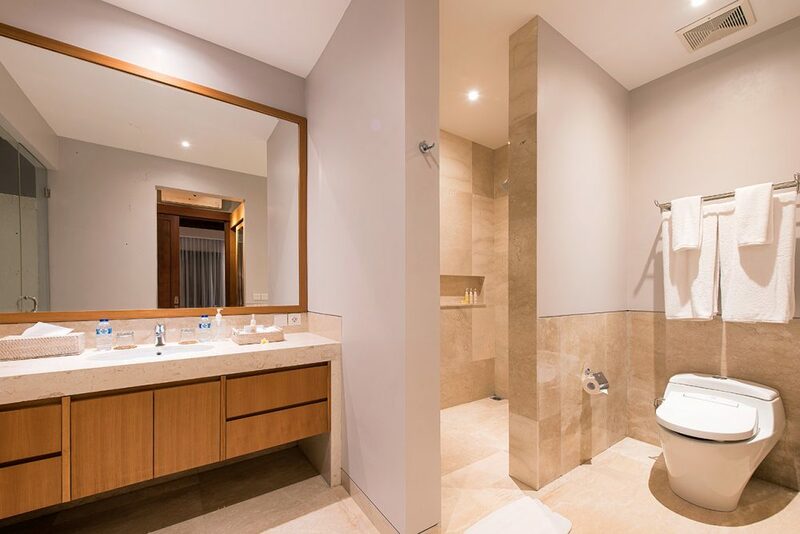 They both have beautifully finished marble ensuites, one with both an indoor and outdoor showers and one with just an indoor shower. 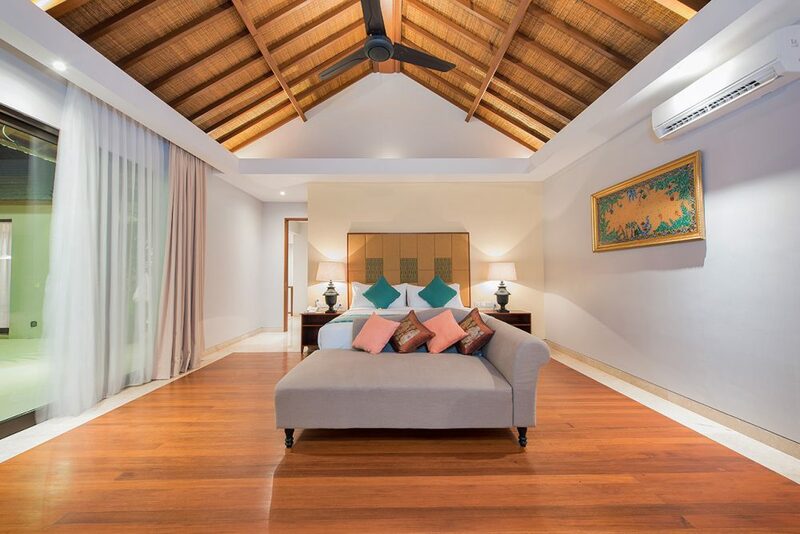 Bedroom 2 also has a delightful terrace overlooking the tropical garden with a theatrical ocean view, perfect for a romantic glass of champagne. Bedrooms 4 and 5 are both located on the lower floor and have patio doors opening out into the wonderful garden and pool area. 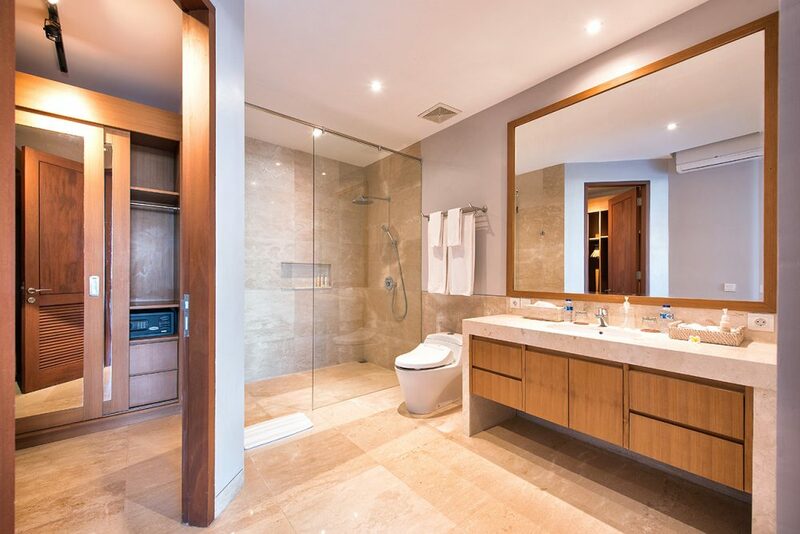 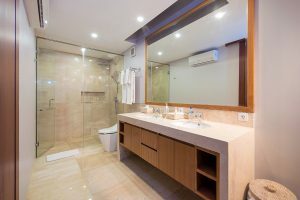 Again these can be configured as either twin or king-size rooms and both have their own ensuite with an indoor shower and single vanity unit. 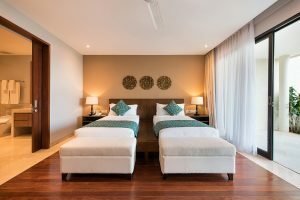 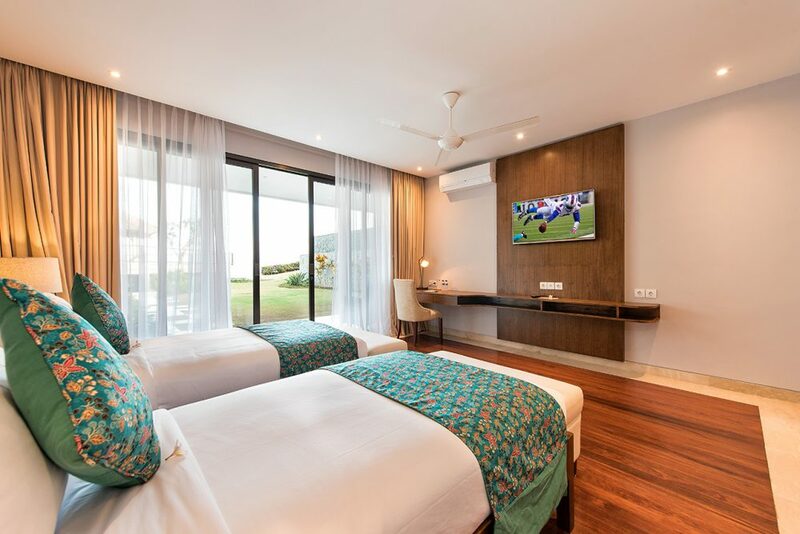 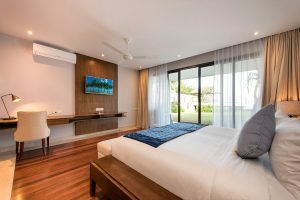 All the rooms at Karang Saujana 2 are air-conditioned, elegantly decorated in an understated palette and have plentiful storage, a telephone and LED TV’s. 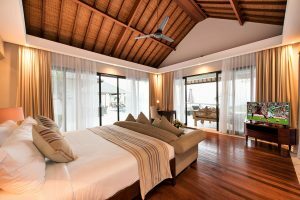 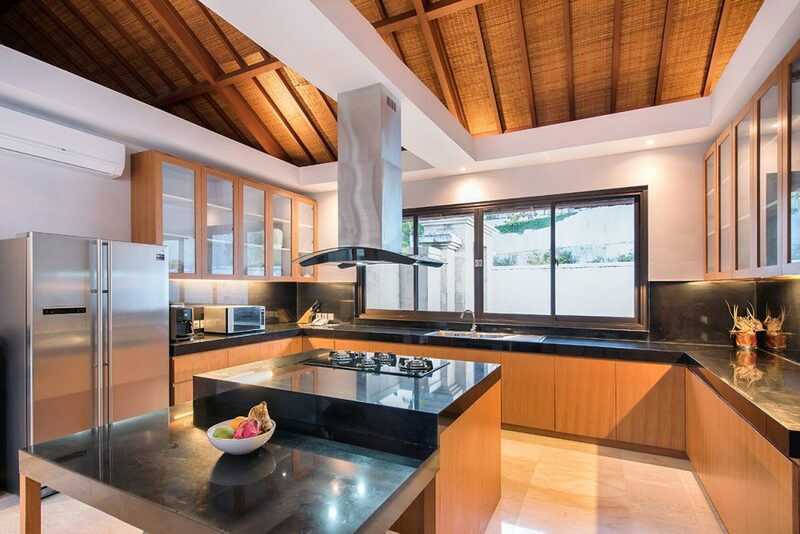 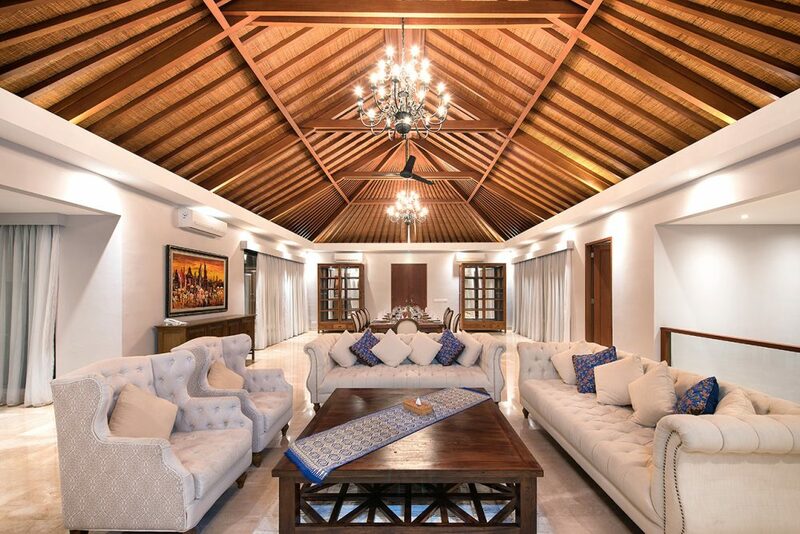 This beautiful villa is staffed by a friendly and discreet team which include an all-day butler service, a cook, a chef, housekeeping and a villa manager. 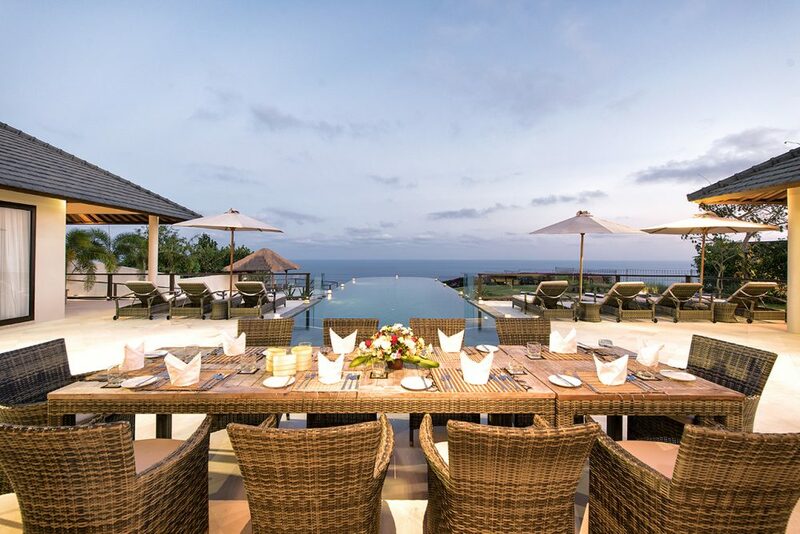 Every day, a complimentary breakfast is served either in the dining room or alfresco on the deck. 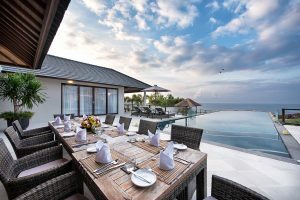 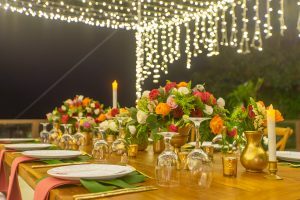 Further meals can be ordered from a menu featuring both Asian and Western fare, plus the chef is willing to accommodate any special requests if at all possible. A grocery shopping service can be employed at a 25% charge and if you catch chef when he is not busy, he will happily demonstrate some local dishes to you. 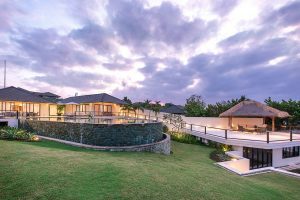 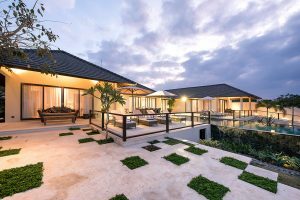 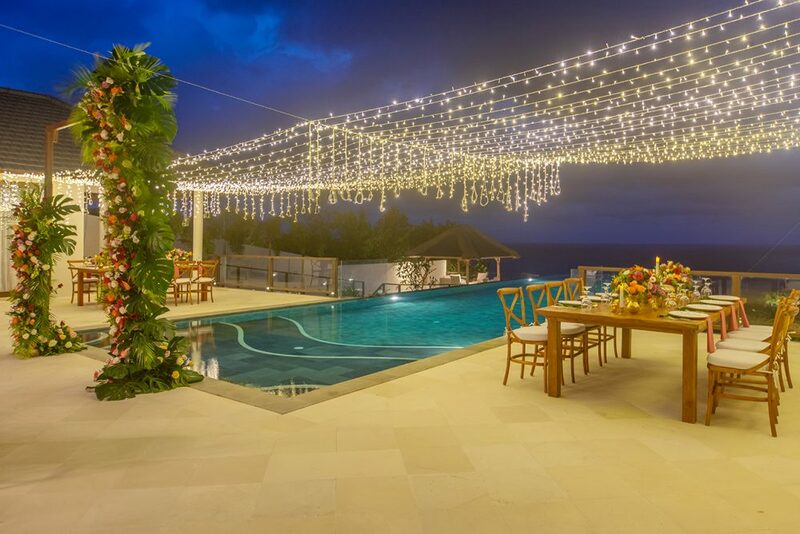 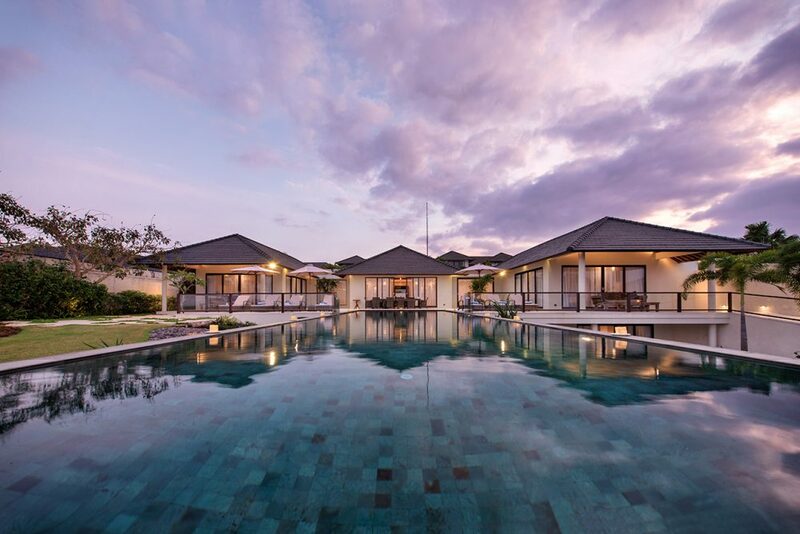 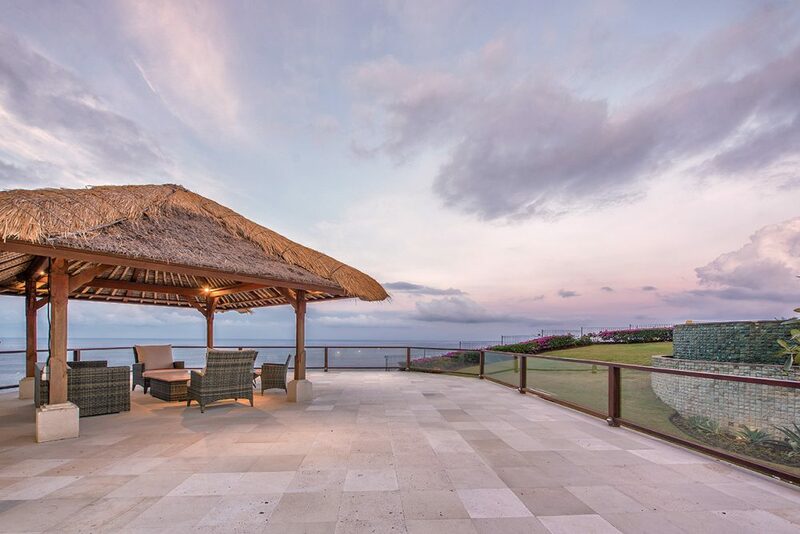 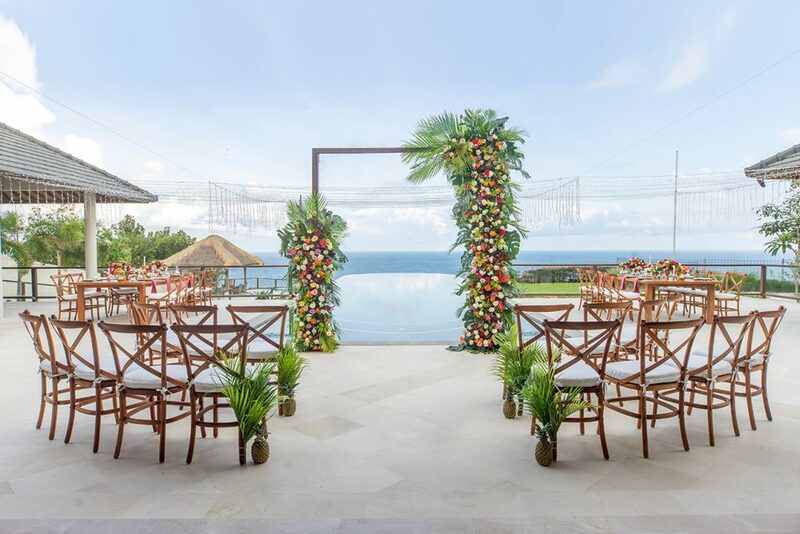 Situated in the delightful rural location of Uluwatu on the southern Bukit peninsula, Villa Bale Agung is a once-in-a-life-time destination. 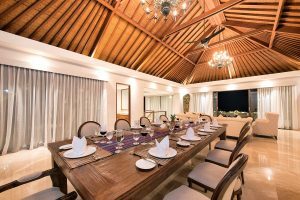 You can hire a driver for the afternoon and venture to one of the nearby surf spots for a lesson and then visit the famous temple and watch the Balinese dancers at sunset followed by dinner at one of the famously delicious fish restaurants. If you fancy seeing a little more of the island drive over to Seminyak which is approximately an hour away for some fine dining and boutique style shopping or venture up to Ubud to the monkey forest and to see the undulating rice terraces that Bali is famous for.